Let’s do a number on that! Number relationships are like the best and worst...the highest highs, lowest lows...of the most significant human relationships you have ever known. When they are really wrong it really shows and pretty much everyone can see it. And, when they are right...really right...they seem, well, almost inevitable. It’s almost like taking two identical twins and multiplying them together. What do you get? What does 1, 4, 9, 16, 25,... have to do with 1, 2, 3, 4, 5,...? Really? Isn’t multiplication just a shorthand version of addition? Yes, there is this overlap with “2” (Actually, as you purists know, the integers 0, 1, 2 are completely weird in the number universe.). We can graphically see one example of an inevitable relationship of numbers. The squares of the Axial numbers are found on the main (Prime) Diagonal on a multiplication table of the numbers 1, 2, 3, 4, 5, .... This became the initial starting point for the Brooks Base Square (BBS) matrix that reveals...and defines...the Inverse Square Law (ISL).But, things changed...at least for the BBS matrix. It’s called a matrix (“Mathematics a rectangular array of quantities or expressions in rows and columns that is treated as a single entity and manipulated according to particular rules. 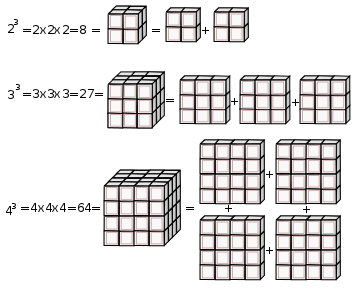 “ )...and not a multiplication table...because once the 1, 4, 9, 16, 25, ...squared Axis numbers are plotted on the main (Prime) Diagonal, all the remaining numbers inside the matrix are not derived from multiplying the Axial numbers. The follow a series of rules. These Inner Grid (IG) numbers are, instead, derived from the Prime Diagonal (PD) numbers...by subtraction! Yes, that’s right, subtraction...or as we all know, addition in reverse gear. Well, these IG numbers are fully numbers of inevitability. They, along with the Axial and PD numbers that together form the infinitely expandable BBS matrix, describe...indeed, inform...much of the Universe. The Universe...the ultimate relationship-based phenomenon...a reiterative, self-similar, holographic-like projection of an underlying, fractal expression of the intimate, inevitable relationship of numbers. Well, now.... Let’s get on to a simple example as recently presented in the very new APPENDIX B addition to the BBS matrix white paper: EXPONENTIALS. If the twins of the Axial numbers 1, 2, 3, 4, 5, ...i.e. 12, 22, 32, 42, 52, ...give us the PD numbers, what say of the triples, quadruples, etc.? If you take the triples, i.e. 23, 33, 43, 53,..their product (or sums addition) always is to be found along the 45° diagonal (parallel to the PD) from the Axis number that generated it. Now here is where it gets really interesting. The 45° diagonal from any Axial number not only contains all the products of any exponential power, i.e. 23, 24, 25, ..., but the spacing of the steps between successive exponential power products forms a pattern. Now, that is truly an example of numbers of inevitability! A. Review of the "Butterfly Primes"
Copyright©2012 Reginald Brooks, BROOKS DESIGN. All Rights Reserved.